As we transition from Summer to Fall, we go from the warmth of care-free summer days into a Winter Wonderland of cooler weather and the holiday season. But along with this seasonal shift, we also get served with the dreaded flu season. We all do as much as we can to prevent getting the flu but sometimes we get sick anyway and have to deal with it. Traditionally we’ve all have had 2 options. First, to go to a hospital or walk in medical clinic, potentially being exposed to other sick people and paying a high price, or second, to use over the counter flu medications. But now a third alternative exists to help you with flu like symptoms: A hassle free Ultraviv Infusion therapy in a private spa setting at REVIV. Recovery against cold and flu simply requires hydration and time. 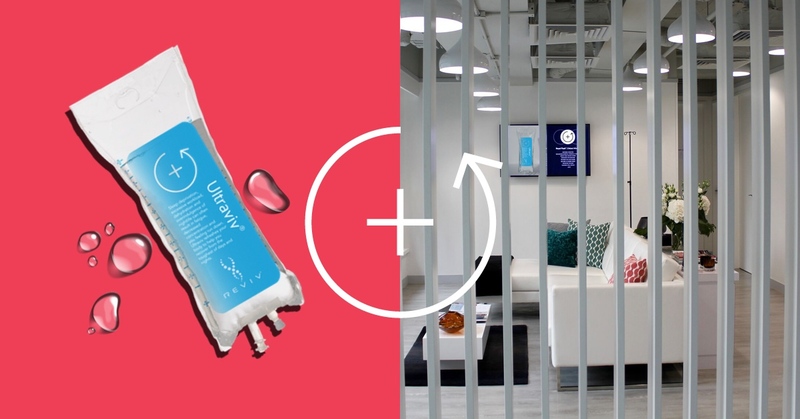 An Ultraviv Recovery IV therapy typically takes about 30 minutes. Symptoms like fever, body ache, cough, sinus congestion, and sore throat are caused by the body’s release of various inflammatory chemicals to combat the virus or bacteria. Antibiotics are often inappropriately prescribed sometimes causing more harm than good. IV therapy not only helps relieve these symptoms but also speeds up recovery by flushing out toxins, restoring hydration, and replenishing nutrients and vitamins. 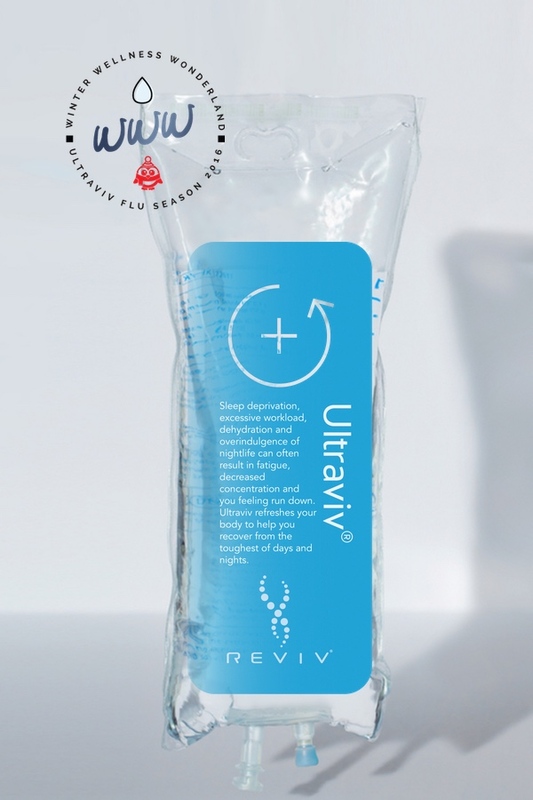 Ultraviv, our recovery IV therapy is a doctor prescribed proprietary mix of saline, nutrients and medications designed to restore hydration, decrease inflammation, relieve pain & nausea and deliver an energy boost to help you recover from cold & flu like symptoms. The flu knows no boundaries, and it is affecting millions every year, across the world. The good news is that there is a REVIV in a city near you – including Johannesburg, Hong Kong, Las Vegas, London, Los Angeles, Miami, New York City, Toronto and many more. Visit our locations page for a full list of REVIV Flagship locations and Express Partners worldwide. Enjoy your Winter Wonderland in wellness not sickness.